Part of both the 1 year and 2 year annual service routines for your DB9 should be inspecting the suspension components. The rubber bushings that hold the sway bar (a.k.a. anti-roll bar or stabilizer bar) in place can begin to wear out, and when they do your handling over bumps and in the corners can degrade. 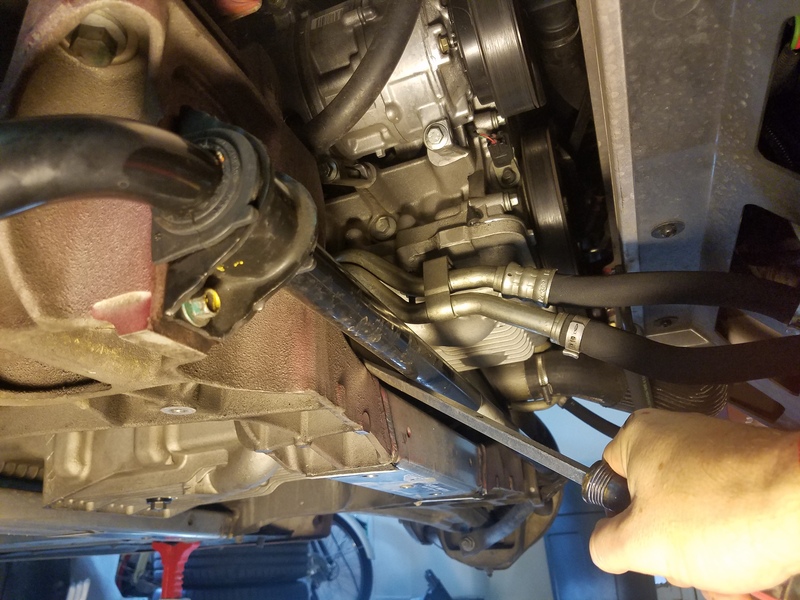 Checking the bushings is easy enough once you have access. 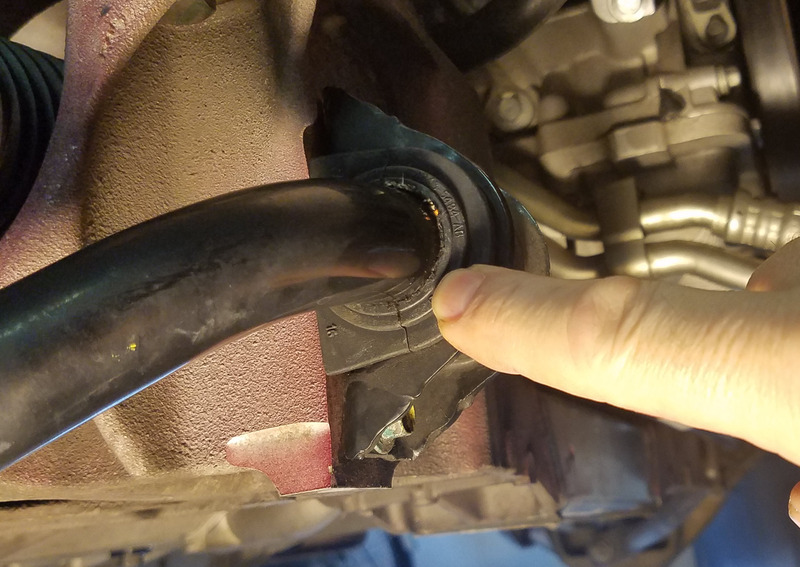 The sway bar connects the left and right lower suspension arms, and by doing this helps reduce body roll when the car is cornering hard (improves the handling). The bushings job is to allow the center section of the bar to twist and pivot, but not move laterally. If the bushing does wear out, and the bar can now move rather than pivot, the car will roll more in the corners. Why is it a rubber bushing rather than a brass bushing or a steel roller bearing that won’t wear out? Great question, I don’t know. Probably something to do with isolating vibration between the left and right, or cost. You can learn a lot more about how it works here on Wikipedia. You need one tool: Your biggest pry bar or screw driver. It has to be pretty decent sized. I picked up this nice three size set of Craftsman pry bars on Amazon for about $37 USD. You need to get access to the bushings first. You will need to remove the undertray to get access to them since they are hidden above them. This requires you to get the car up off the ground on jack stands or a ramp. 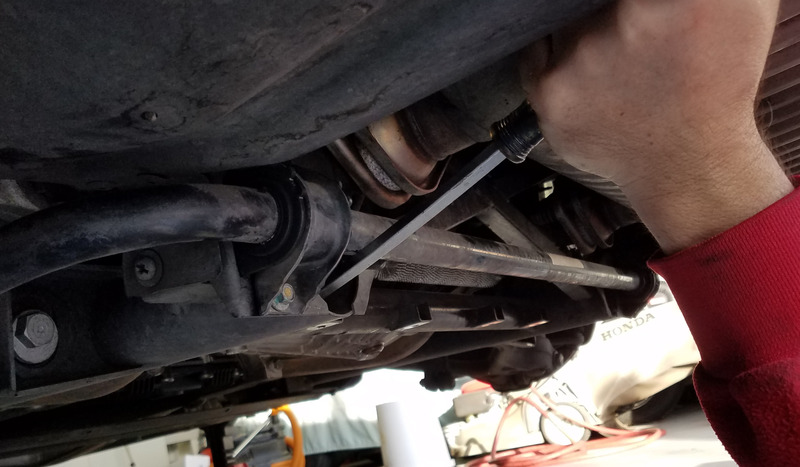 The logical time to check them is when you are doing your annual service and already have the car up on stands and the undertray off. You do not need to remove the tires specifically for this task. Once you have access to them, the procedure will take less than 2 minutes to check them. 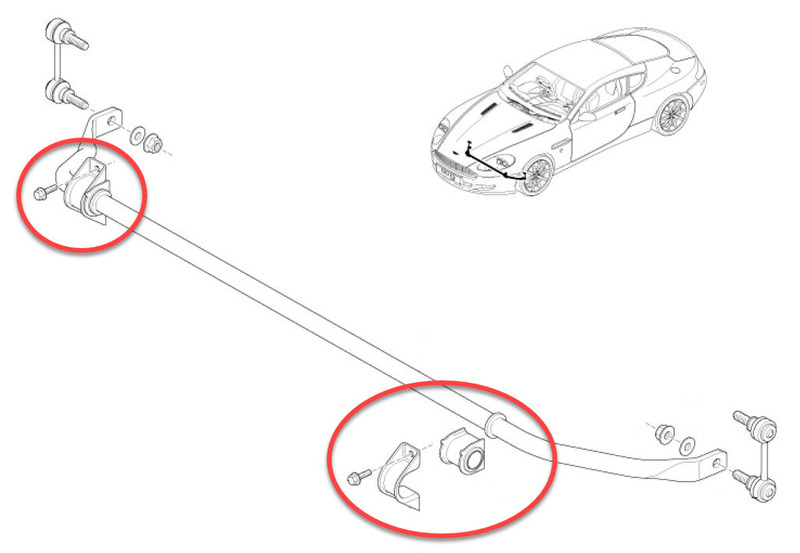 The official Aston Martin Workshop Manual has zero information on how to inspect the suspension bushings for wear and tear. This falls back on general mechanic wisdom. Checking these is the same as any other car. Using your large screwdriver or pry bar, wedge it in on something solid (sub-frame) near each bushing and apply load up on the bar. Carefully observe the bushing around the bar for any signs of movement. This is subjective of course. You should see it ‘strain’ with the pressure you are applying with the screwdriver, but it should not be able to waggle around or have any gap. Inspect the bushing for any obvious signs of wear. The wear usually appears as ovaling, with a visible gap at the top or bottom of where the bar passes through the bushing. If you see any wear or observe any significant deflection under load you should replace the bushing. If you’ve discovered the bushings are worn check out my other articles on where to purchase them and how to replace them. The process is pretty simple. Here are a couple of quick excerpts of how to check the front and rear bushings.